Whether it’s St Barts in the summer, Aspen for a winter ski or Bora Bora for a digital detox, you can always rely on certain parts of the world to attract the rich and famous. But every now and again, a new playground appears, and superyacht owners set their coordinates accordingly. 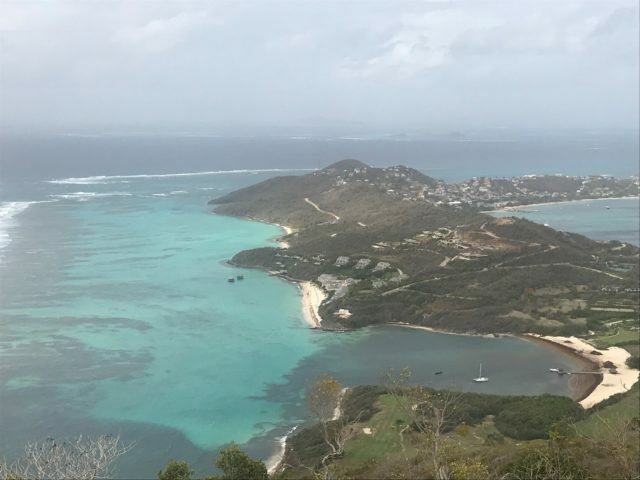 The latest luxury hotspot is Canouan – a tiny but verdant island in the Caribbean archipelago nation of St. Vincent and the Grenadines. It’s shouldered by St. Lucia to the north and can be reached by a nine-hour flight from the UK to its western neighbour Barbados, followed by the ultimate Caribbean arrival – a 50-minute propeller plane journey gliding into a beachside airstrip. The three square-mile island, which is home to 1,700 residents, isn’t short of natural beauty; it’s surrounded by small bays and coves, secluded white sand beaches and one of the Caribbean’s largest coral reefs, offering incredible diving and snorkelling. A little over a decade ago, it was developed into Donald Trump’s home-away-from-home, when the ex-property tycoon invested in luxury villas, an international casino and golf courses. Now, all traces of its ostentatious past have been erased and the focus is fixed on attracting a new type of moneyed millennial customer, looking for luxury and adventure in equal measure. 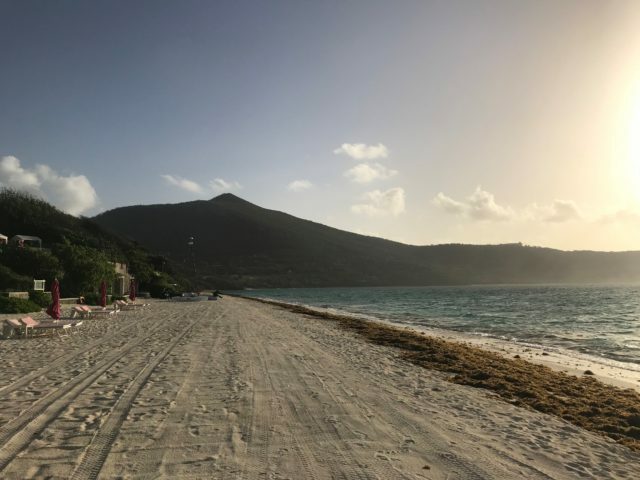 With a seal of approval from the Mandarin hotel empire, a new superyacht marina, a purpose-built private jet runway and whispers of a new Soho House in the works, Canouan’s stock is firmly on the up. Here’s where to stay, play and kick back like a billionaire on its palm-fringed shores. 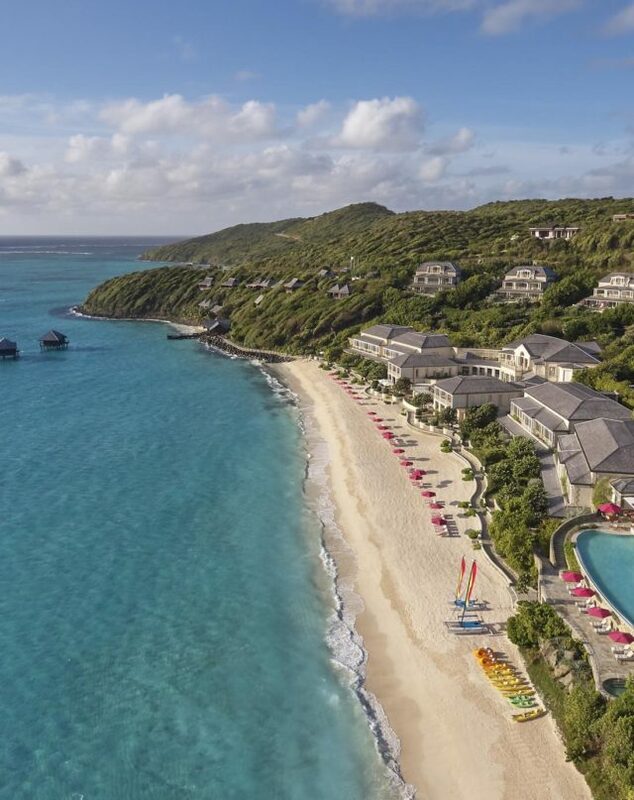 On the postcard-perfect Godahl Beach lies Mandarin Oriental Canouan. Formerly operating as the Pink Sands Club, it’s now Mandarin’s first and only outpost in the Caribbean. If you’re thinking of a gated behemoth resort carelessly plonked on the island, think again. Epitomising barefoot luxury at its best, the colonial-style hotel has been mindfully built into the hillside with 26 suites and seven villas dotted amongst the flora and fauna. It’s the kind of property that caters to the type of well-heeled traveller who likes to feel at home while they’re away. 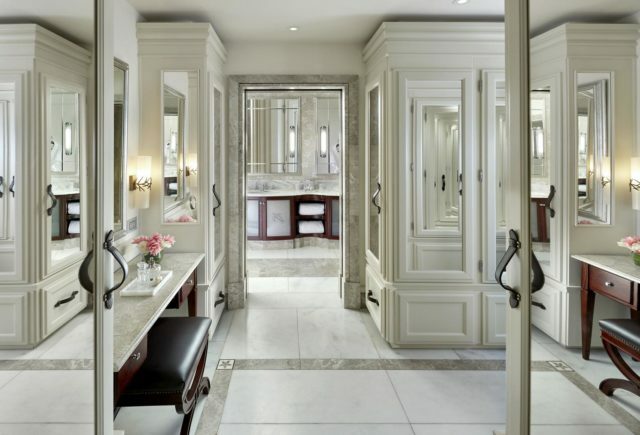 As well as a 24-hour butler service, my suite includes a Kardashian-worthy walk-in wardrobe (ask at reception and a butler can come and unpack your suitcases for you), a sunken marble bath and a huge living space that opens out on to a private manicured garden, leading to the beach. As you’d expect, there’s plenty of James Bond gadgetry too, to help make the good life easier; the lights, music and television (which is built into a sliding door at the foot of the bed) can all be controlled by the touch of an iPad. Perched higher up into the hillside are secluded family villas overlooking the sea. Equipped with their own pool, golf buggies and outdoor rainforest showers, they have the vibe of a celebrity Malibu-style beach house. 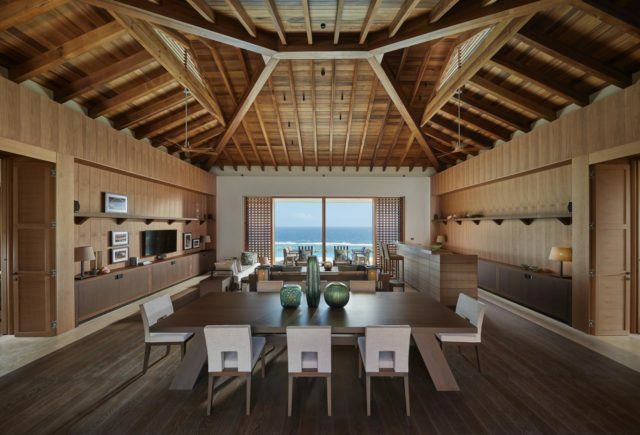 The addition of a contemporary Italian-style kitchen means you really can shut off from the outside world, but if you can’t face cooking during your holiday, you can live La Dolce Vita and summon a private chef to whip up daily meals and poolside snacks. Honeymooning couples and stressed-out solo bankers appear to form the lion’s share of guests, but families are covered too, thanks to a very good kids’ club onsite. Little ones can splash in a pool and play area, take on daily summer camp-style games and even learn to bake fresh Canouan cookies. So, what is there to do once you’ve suitably palmed off the suitcases, work phone and children? 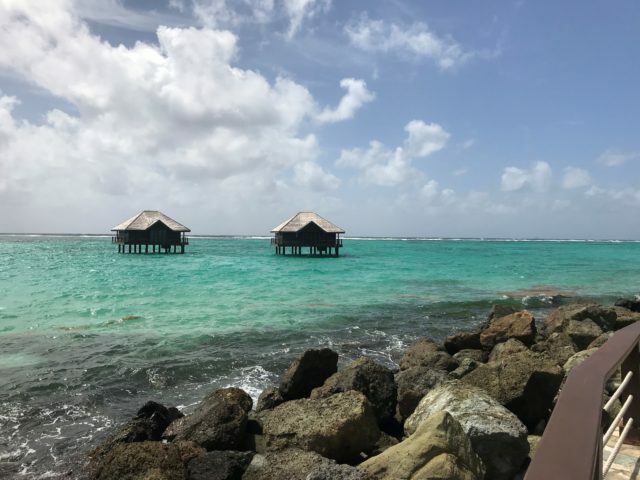 Pad up to the infinity pool and enjoy a glass of crisp rosé while looking out to glinting Caribbean Sea, or robe up and head to the thatch-roofed spa, which has several Instagrammable treatment suites either nestled into the hillside or floating on covered wooden platforms in the ocean. A funicular lift takes you up into the trees, where you can hear rolling waves from the massage bed, adding an extra layer of bliss to the experience. There are all kinds of wellness treats on the menu to pummel and soothe the aches and stresses of an international flight, ranging from Balinese massages and aromatherapy treatments, to body wraps. There are plenty of eating and drinking options scattered around the island, so you don’t feel like you’re trapped inside a resort bubble with other holidaymakers. 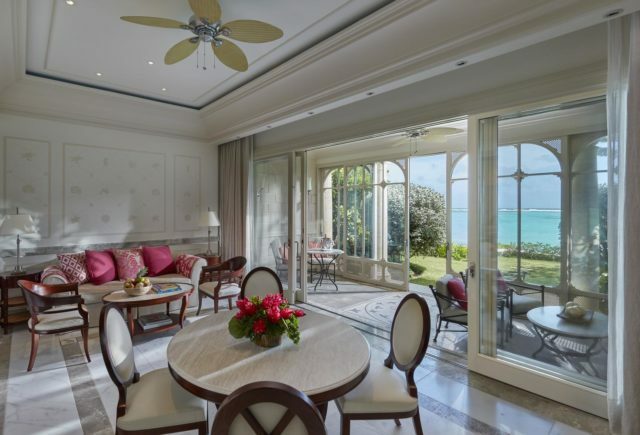 The hotel’s 1,200-acre estate is shared with the Grenadine Estate, a real estate project that has mindfully developed high-end residential villas in throughout Canouan’s hillsides. The estate has worked hard to carefully integrate the ‘new island’ and its luxury residences into the local landscape, by funnelling money back into local amenities. Future plans for the island include a yacht club, fisheries, a community sports centre, further development of high-end residential villas, a waterfront development project that includes an outdoor village market and a new community school campus. The hotel encourages guests to dine in restaurants on the north side of the island, just a short drive away. 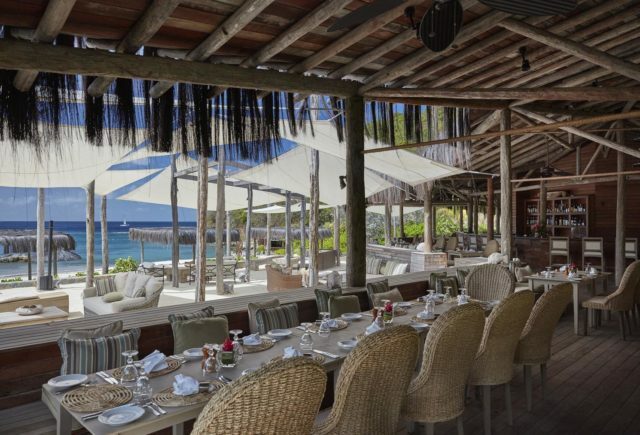 There’s super-romantic beachfront L’Ance Guyac Beach Club for excellent fish and handcrafted cocktails, or you can have a chilled-out, al fresco lunch of sandwiches, salads and grilled seafood at nearby Shell Beach Bar & Grill. The hotel can arrange a complementary shuttle for you, and the bill can be added to your room for ease. 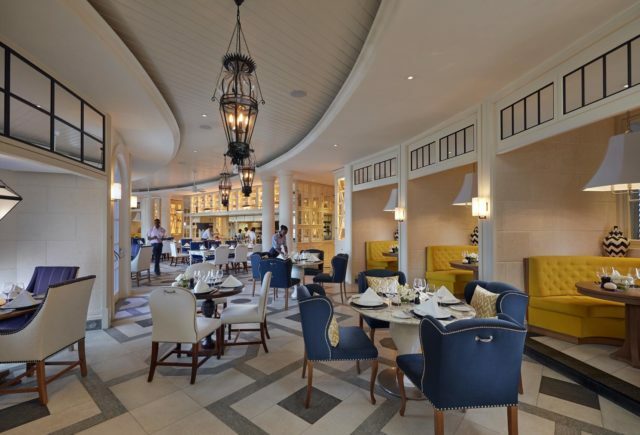 If you’d rather stay closer to home, there’s a relaxed Mediterranean restaurant at the hotel, which serves tapas, brochettes and crunchy stone-baked pizza, or the more special open kitchen Romeo restaurant, which serves family-style sharing platters for a little bit of everything. My favourite is the intimate Juliet, a smart bar-meets-restaurant with a private members’ club feel. 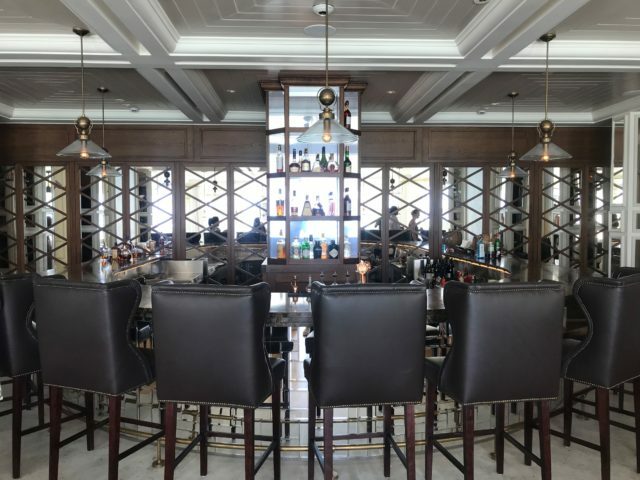 It serves a impressive list of wines from around the world, alongside tender beef dishes, freshly caught fish and delicious island-sourced veggies. After gorging and glugging, you can slope out to the restaurant’s outdoor terrace and enjoy a nightcap under the stars. It’s two-hour round hike to the peak of Mount Royal, which offers wonderfully uninterrupted, panoramic views of the island’s secret, secluded beaches and beyond to the Southern Grenadines. A guided hike is complimentary on the hotel’s daily activity schedule, or you can organise a private ramble, which costs £27 for adults and £10 for children. Make sure you’re well prepared with water and suitable shoes, as the ascent can be steep and rocky at points. Canouan is spoilt for sandy spots, and there are five within the hotel’s estate (a complimentary shuttle service can be arranged). Like many Caribbean shores, however, they are suffering the blight of global warming, with swathes of orange seaweed thriving and drifting from the Sargasso Sea. The Mandarin staff work tirelessly to keep Godahl free of the stuff by raking it into piles using a tractor, so this is probably your best spot for paddling. 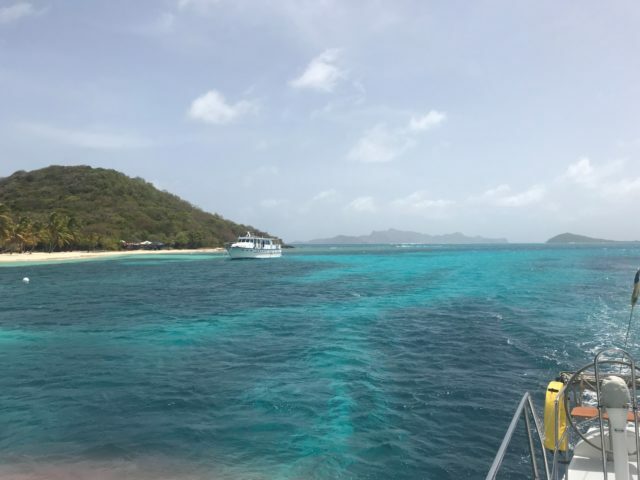 A real lure for nature lovers is Tobago Cays, a cluster of wild cays surrounded by turquoise lagoons which featured in The Pirates Of The Caribbean movies. Around a half-an-hour yacht journey from the hotel (ask staff to book you a slot), the cays are a paradise to throw down an anchor and snorkel alongside green sea turtles. The cost for these excursions will vary according to the type of boat and the destination, but a half-day excursion on a six-person catamaran costs £921.